We all love a bargain especially when it comes to shopping about online. All year round, we see tempting promotions suggesting '50% percent off', 'Free gift when you buy...' or 'Come and use your free coupon today'. I'm not sure about you but I know I always have a bulging wallet full of gift cards and coupons needing to be used online or in store offering me all sorts of discounts and benefits. So when it comes to playing your favourite online casino or bingo games it's no different. 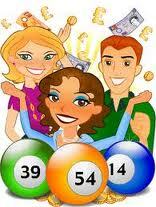 The World Wide Web is your oyster as gaming providers try to attract you with a wealth of offers to suit all tastes. Whilst most offers are tempting to sign up for and use immediately it is always recommended to check out the small print and terms and conditions to make sure you are definitely getting value for money. One of the best ways to do this is to take advantage of the dedicated forums and websites on offer that give feedback from players which can often save you time and money if you come across unregistered websites. The best advice is to shop around, check out the attractive offers and most of all have fun!